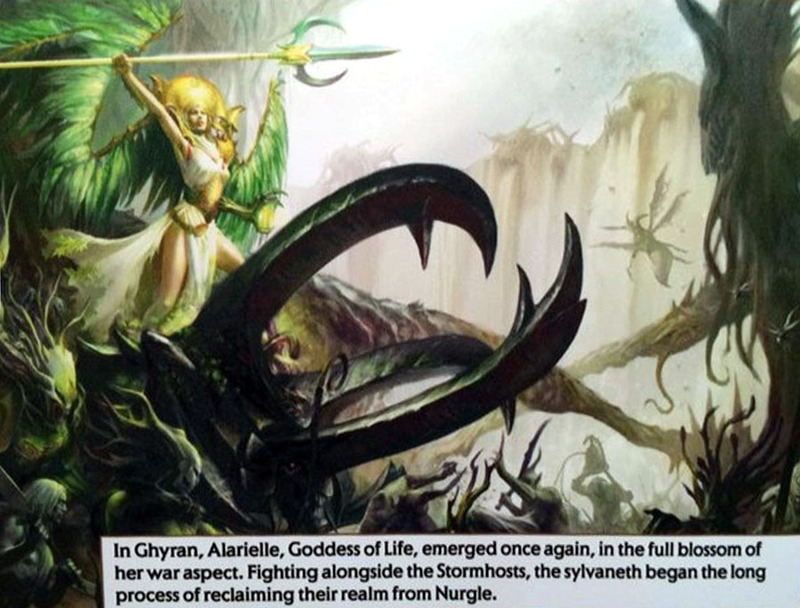 One of the foot units is described as and “Aelf-Dryad” unit, while the big monster kit is described as a “beetle”. 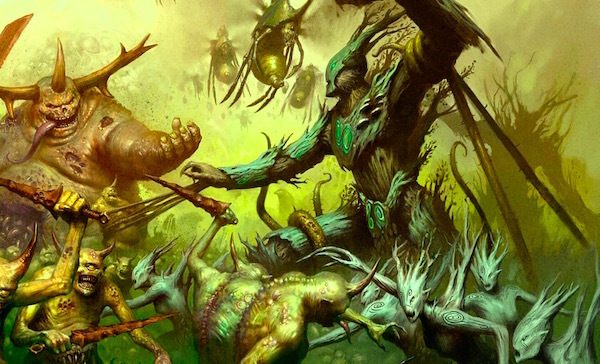 A Sylvaneth release for the Aelfs makes sense in the near future. 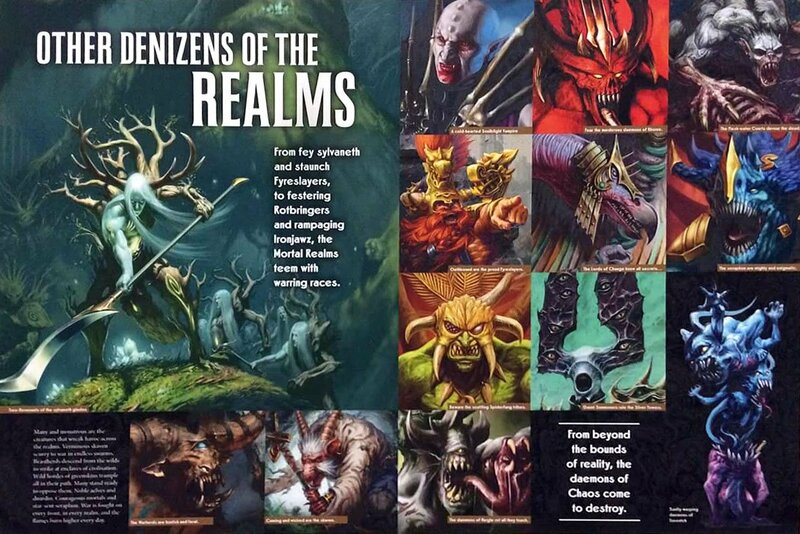 The talk of the AoS Summer Campaign mentions it heavily involves the Aelfs and the search for Slaanesh, somewhere in the Realm of life – the Sylvaneth’s home turf. Now let’s take a look at the two new pics to trickle out of Warhammer Fest this weekend. See anything that sounds familiar? ~More as it comes in. I wonder what type of animal new Sylvaneth cav would ride?